Most of us have routers at home that let us share our broadband internet connection with all our devices. 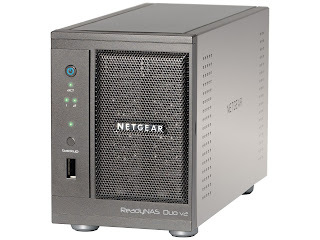 A NAS (Network Attached Storage) is a hard drive you can connect to this network, to share files across it and provide storage space that all your computers can access. 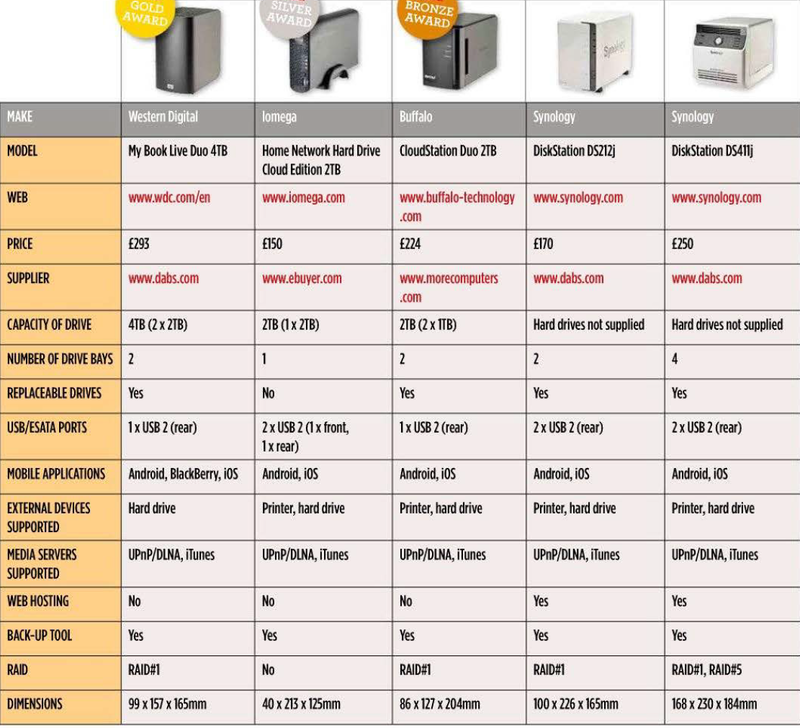 NAS drives come in all shapes and sizes, and we've tested a variety here. Some are just 'enclosures' - empty NAS shells that you can fill with standard internal hard drives. The number of 'drive bays' (the empty slots you put the drives into) varies between one and four. Other NAS drives come with their hard drives already installed. NAS devices that hold more than one drive can be set up with RAID back-up (Redundant Array of Independent Disks). In a two-drive RAID, one drive is used to make an exact copy of the other, so you get half the maximum storage but won't lose anything if one of the drives fails. This is called RAID#1. Four-drive NAS devices can use an advanced version of RAID (called RAID#S) that only needs to sacrifice a quarter of the total storage to maintain a full back-up of the remaining three quarters. This means a NAS with four 2TB drives can provide 6TB of storage and still hold a complete set of data if any one of the drives fails. Designed to look like a book and sit on a bookshelf, this Western Digital NAS holds two 2TB hard drives, which makes it more of a hefty dictionary than a svelte paperback. 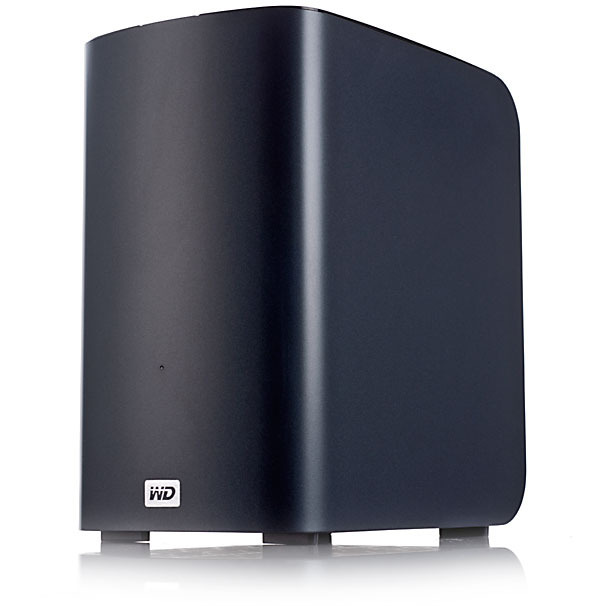 By default, the two d rives are configured as one enormous 4TB storage space. You can change this, though, and with all that space it might be worth reconfiguring the drive into a RAID#1. This is easily done during the installation of the drive, to give you 2TB of space on one drive, with everything mirrored on the second. Your files will then be safe if one drive fails, although it's not going to help you if a burglar takes a fancy to the NAS or your house burns down. Once it's attached to your network, the NAS is controlled via a web interface that's accessed through a browser. A strip along the bottom of the screen shows the status of the device and how much spare storage space is left. The rest of its tools are easy to locate and use, and accompanied by useful walkthrough guides to help beginners. The NAS is automatically integrated into Windows Explorer, so you can drag and drop files to and from it, as if it were attached to your computer directly. If you want to access your files when you're away from your network, you can use Western Digital's WD 2go service. This provides access to the drive from any internet connected PC. There are also Android and iOS apps available. It was fifth fastest in our read-speed test (taking files from the drive) and sixth fastest in our write test (sending files to the drive). While this performance puts it in the middle of the pack, the ease with which it can be set up and used is unbeatable. 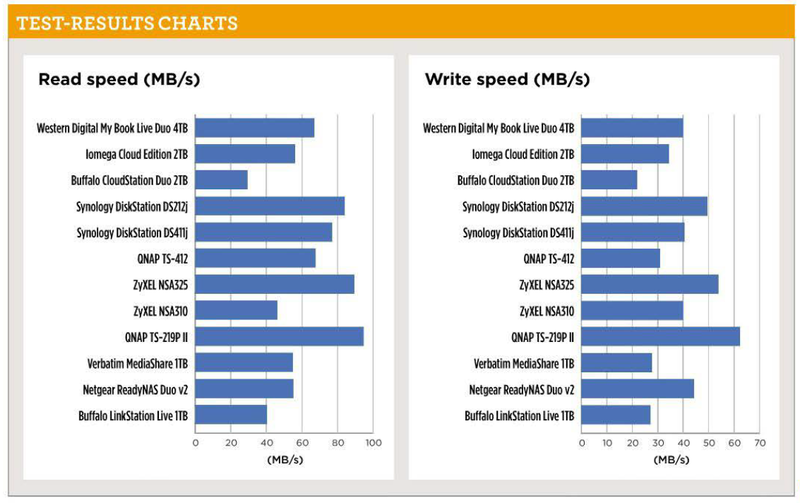 The key benefit of Western Digital's 4TB package is its ease of use. You get lots of storage space and you don't have to construct it from an empty NAS shell and hard drives. The drive is configured to help you get it up and running quickly and easily, but if you'd rather customize the device exactly as you want it, there are a good set of tools for tweaking its options. It doesn't come with all of the tools you'll find on some of the other drives in this Group Test, but weigh this against how easy it is to use and we think it's a trade-off that makes sense. The Iomega NAS has a single hard drive, so it's slim compared to most of the other units in this Group Test. You get a generous 2TB of storage but not the extra security benefit of RAID, which means that if the hard d rive goes wrong, you could lose everything that’s on it. But this all helps to keep the price low, making it the cheapest 2TB option in this test. The drive has some fantastic features for turning it into a personal cloud drive, Web user including 'active' folders that upload files straight to online services like Flickr, Facebook and YouTube, as soon as you transfer them to the NAS. It also integrates with Windows, Mac and Linux computers, so you can drag and drop files onto it. It was outpaced by most of the other models here, coming sixth in the read-speed test but seventh in the write test. Buying a NAS that holds a single drive means you don't get the RAID back-up you find in more sophisticated multi-drive devices. This model also slipped below average in our speed tests. However, it comes with good software for accessing your drive over the internet, and the price is excellent for a 2TB model. The CloudStation uses Pogoplug’s services (www.pogoplug.com) to provide access to your files, even when you're away from the network. Through cloudstation.pogoplug.com, you get online access to the files on your NAS via a web interface that lets you stream music and video, and upload, download and share other files. There's space for two drives in the device, and it comes with two 1TB drives. These can be used as separate drives, or linked together using RAID#1 to create a single 1TB drive that’s mirrored on the second d rive as a back-up. Performance was the slowest of all the NAS drives we tested, reaching speeds of just 29.3MB/s in the reading test and 21.9MB/s in the writing test. 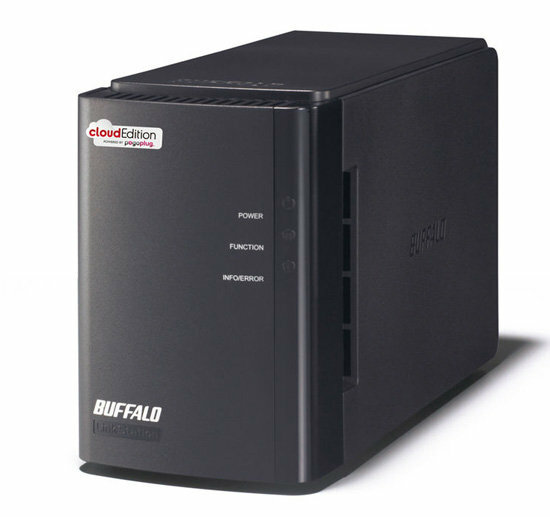 It's not often that the slowest device in a Group Test merits an award, but we thought the Buffalo CloudStation deserved recognition. For a fully equipped two-drive device, it's very good value for money, and the Pogoplug cloud software also makes it simple to use, even when you're away from the network. 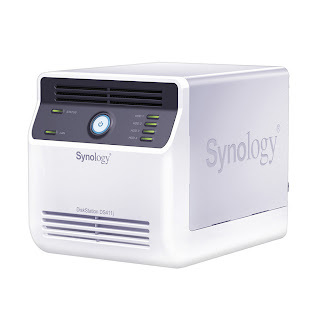 The Synology DS212j is a NAS enclosure, which means you get the case and all the software to run the device, but not the hard drives, which you have to buy separately. It’ll take two standard 3.5in internal d rives, and you'll need a screwdriver to open the case and slot them in. It's a simple job that won't faze anyone who has upgraded a hard drive in a PC, but if you don't feel confident tinkering with the hardware, it might be better to opt for a model that comes with the hard drives already in place. We installed two 1TB Seagate drives in a RAID#1 configuration, and it performed beautifully, coming third in both our reading and writing speed test s.
The Synology DiskStation's interface is its best feature. Like other NAS drives, it’s accessed through a browser, but it's designed to look like a mini-Desktop interface with icons that take you to its key tools. You can also create shortcuts to quickly access your own favorites. 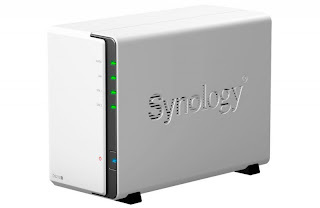 Synology's web-based, Desktop-type interface is our favorite in this Group Test. However, the OS212j unit consists only of an enclosure, so you've got to buy and install your own hard drives. This makes it harder to set up, and you need to factor in the cost of those hard drives when you buy. Like the smaller DS212j, this enclosure from Synology doesn't come with d rives installed, but v it has twice as much room, with space for four drives. These can be standard 3.5in or smaller laptop-sized 2.5in drives, giving more choice if you want to shop around for the best deals. To install t hem, simply unscrew the back of the case and slide the hard drives into the slots. Setting it up with a PC is straightforward, because the NAS automatically selects the best type of RAID back-up for the sizes of drives you put in. It also shares the DS212j's excellent Desktop-like interface. With four identical Seagate test drives installed, the DS41lj was fourth fastest in our reading test, but fell back to fifth in the write tests. 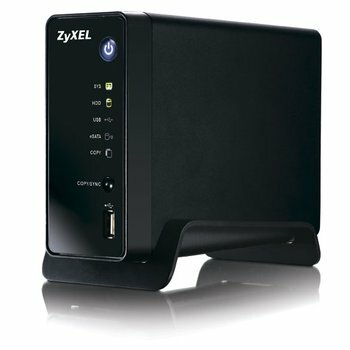 If you wanted to fill all four slots with new drives, this will be an expensive purchase. But there's nothing to stop you putting in a single drive now, then filling it with more capacity as your storage requirements expand. Four drive bays is a lot to fill, and this unit is already much more expensive than the two-drive OS212j. Fill it with four £80 1TB hard drives, for example, and the price rockets to £570. 1t makes more sense if you already have some hard drives looking for a home. Like the Synology DS41lj, this is a four-bay NAS enclosure that requires you to supply your own d rives. Installing them, however, is made very easy because the unit has four front-loading bays that you simply slid e the drives into and lock them into p lace. It will accept both 3.5 and 2.5in hard drives. 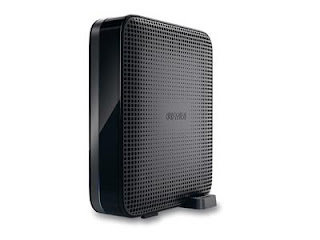 Setting up the NAS is straightforward, though you'll need to make a decision about what kind of RAID back-up you want. The QNAP TS-412 is compatible with RAID#S, so you can use four drives and still have a complete back-up if one of the drives fails. There are lots of ports for plugging in further storage, with four USB, two eSATA and two Ethernet ports. You can plug a USB storage device (a disk, a USB drive or even a camera) into the socket on the front and the TS-412 will copy all the files off it at the press of a button. 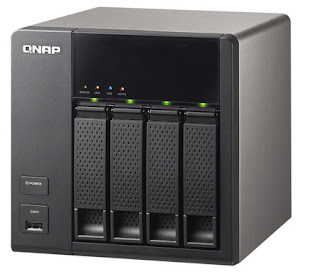 The Qnap TS-412 was slower in our tests than the similar four-drive Synology OS41lj.lt also doesn't have such an easy-to-use interface. However, it's a little bit cheaper, has more hardware features and you don't even need a screwdriver to physically install the drives. The NSA325 was the second fastest performer in our tests. It comes as an empty enclosure with space for two drives, which you will have to install yourself. In our speed tests, it read large files at 89.3MB/ sand wrote them at 53.7MB/s. Installing the drives isn't particularly difficult, but it is a bit fiddly. The front cover clips on and off easily, but you have to screw rails onto the side of the drives to slide them into p lace. Configuring the NAS isn't hard, but the web-based user interface is disappointingly basic. ZyXEL provides sophisticated tools for tasks such as hosting a website and accessing files from outside your network, but they have to be downloaded separately. It’s these over-complicated aspects of configuring the drive that make this model feel rather clunky overall. While this drive is an excellent performer, it lacks refinement. Installing the hard drives (sold separately) is a bit fiddly, and the supplied software is unsophisticated. However, if you're a confident user and speed is your top priority, it's worth a look. At just £50, this is the cheapest NAS in our tests. It's an empty, single-drive enclosure, so installing an £80 1TB drive (for example) would push the price up to £130. This is still great value, though. Like the NSA325, the interface is basic, but it can be upgraded with downloadable add-ons. Performance wasn't impressive though, coming third from bottom in our file-reading test. 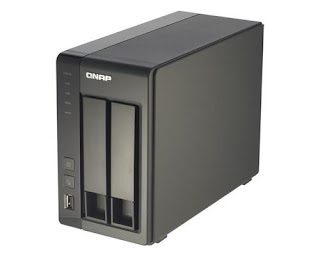 For performance at any cost, the QNAP TS-219P is the drive of choice. It blitzed our tests, coming first with a blistering read speed of 94.6MB/s and a write speed of 62.3MB/s. However, it costs a lot of money even before you f ill its two drive bays. Fitting a couple of l TB drives at £80 each would push the price to over £450, which is a lot for a NAS, no matter how fast it is. Verbatim's NAS comes with either a 1TB or 2TB drive pre-installed, which isn't upgradeable. 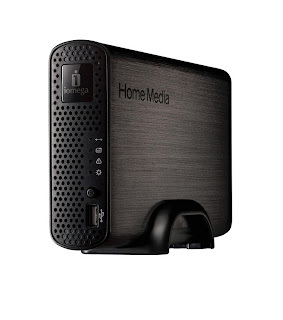 It has three USB ports (one on the front, two on the back), so you can connect a printer to your network, or transfer files to and from another device. It was slow in our tests, only managing ninth place in our reading test and 10th in the writing test. 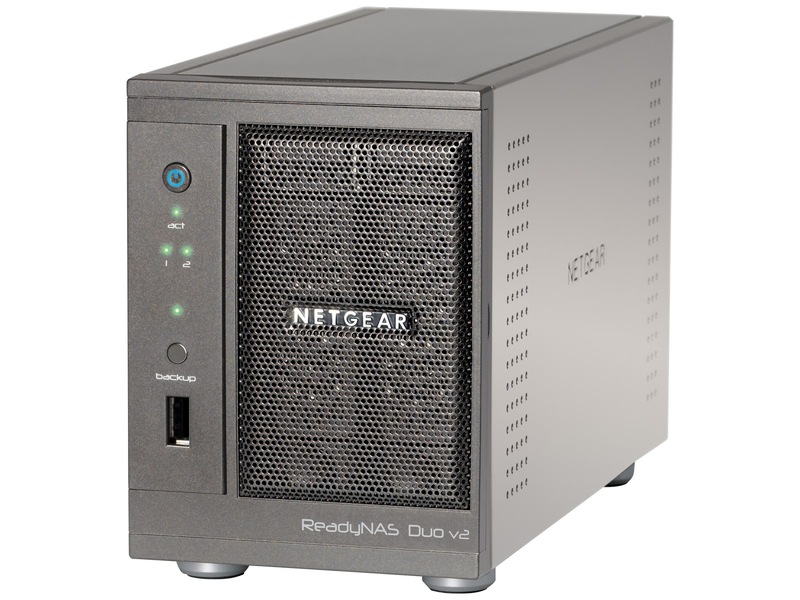 This second version of the ReadyNAS Duo has two empty drive bays for holding two hard drives. However, its processor has been upgraded, so it's not compatible with the previous version's mobile apps and add-ons. You get some handy built-in tools for sharing photos, but it's limited when compared to the other devices in this test. Although these problems are likely to be solved soon, it's hard to recommend this unit at the moment. The LinkStation Live is a no-frills NAS, with just an Ethernet socket to connect it to a network. It comes with a single, pre-installed and non-upgradeable drive, in 1TB, 2TB or 3TB capacities. It's easy to set up and covers most of the basic functions you'd expect to see in a NAS, but it's nothing special. In our speed tests it came 11th in both the reading and writing tests. At nearly £300, the Gold Award-winning Western Digital My Book Live Duo 4TB isn't cheap, but its huge 4TB capacity should keep you in storage space for a while. It also has a good user interface that's packed with options, but isn't too complex to use. If you'd rather spend a little less, the Silver Award-winning Iomega Home Network Hard Drive Cloud Edition is half the price for half the capacity. It only holds one drive, which is included in the price, so doesn't use RAID to back itself up. 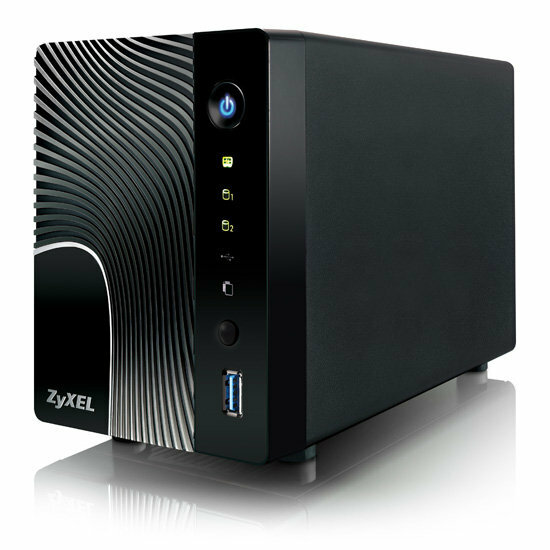 Alternatively, you could build your own 2TB NAS with the ZyXEL NSA310, but for the sake of £10 it seems better to buy a complete package that doesn't require so much work to set up. The Bronze Award goes to the Buffalo CloudStation Duo 2TB, which is great value for money for a dual-drive NAS that comes with both drives supplied. It ended up being the slowest drive in this Group Test, but we were won over by its cloud-storage software, which lets you use your NAS over the internet like you would Dropbox or Google Drive. We've favored NAS drives that come with the hard drives preinstalled, because we think they're easier to set up and are less prone to installation complications. 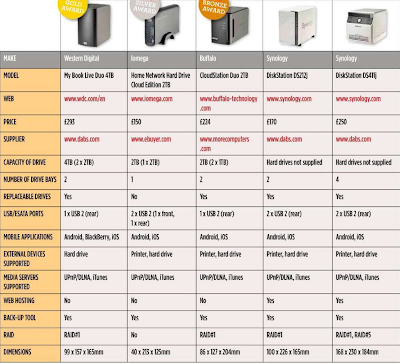 It's worth noting that building your own NAS drive isn't that hard and is likely to get you more features but, unusually for a self-build project, it's not likely to save you any money.